Halloween is in a few days. On November 1, the jack-0’lantern would have done its job. Now what? Don’t just trash it. Here are several beneficial uses for it. When your jack-0’lantern is done, you can use it as a planter. Plant a colorful fall mum in the hollowed out pumpkin and plant it in your garden. As the pumpkin decomposes, it will fertilize your new plant. If you have woods nearby, feed the wildlife. Bambi and her friends will love it. Plus, if you don’t want to eat them yourself, you can dry and toast the pumpkin seeds and give your backyard birds a treat. Pumpkins are rich in zinc and vitamins A, C and E—all great ingredients for a healthy complexion. Grind up some of the remaining pumpkin meat into a puree. Mix about five teaspoons with three teaspoons of brown sugar (a natural exfoliate) and a tiny splash of milk. Apply to your face and gently rub in a circular motion. Allow the masque to do its magic for about 20 minutes and voila – you’ll enjoy the results! 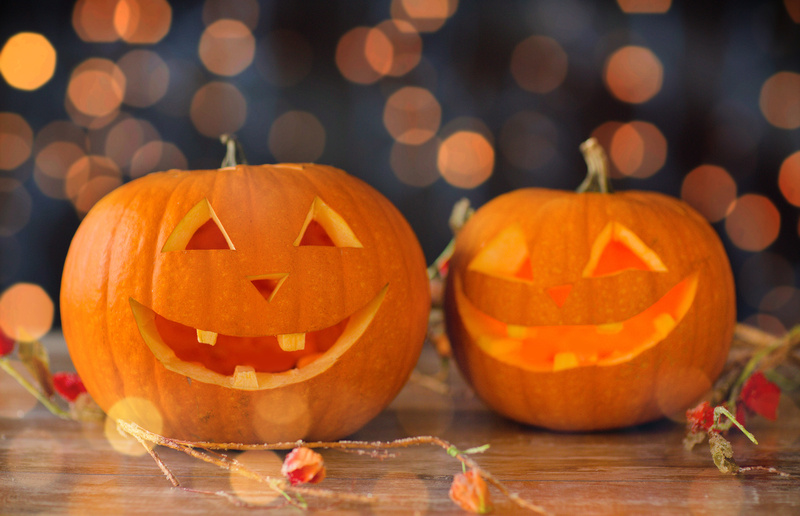 Try one of these ideas and you’ll get a bigger return on your investment than just scaring the goblins away for one night. Happy Halloween! The quality of the work and the people at Sponge and Sparkle are top notch for this busy working single mom. Capture shedding fur before it hits your couch. 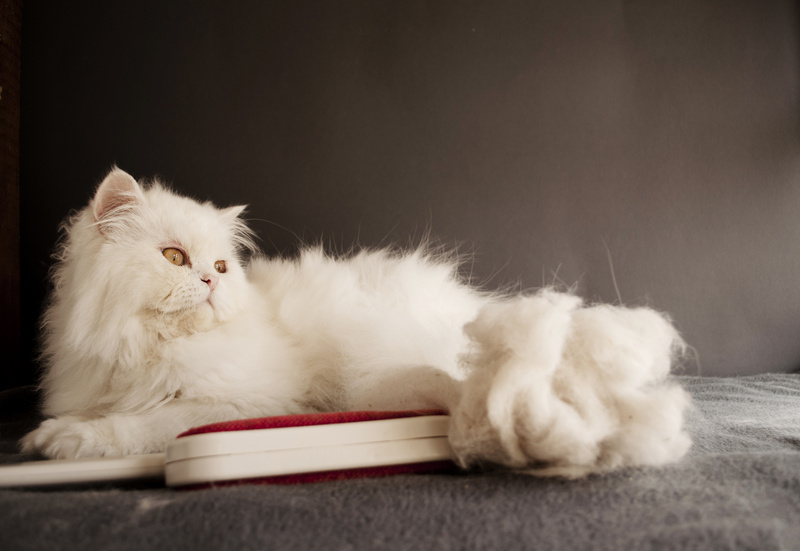 Dogs and cats absolutely love being brushed, so do it often and you’ll eliminate excess fur all over the house. Cats will also suffer fewer hair balls with regular brushing. When your dog or cat has an “accident” they mark the spot as a safe place to “do their business” and they will return to the area again and again. To prevent repeat accidents, have the area deeply cleaned as soon as possible. If you have cats, clean the litter box frequently. You can go low tech (and low cost) by using a bag as a liner so that the “mess” does not leave a lingering smell, or purchase one of the higher end litter box systems. Buy odor-absorbing litter and odor-absorbing powder to keep the litter box area smelling clean and fresh. Keep a rag handy to wipe dirty paws after coming in from a walk. If kitty likes to roam in the woods, wipe him down with a damp cloth to ensure he doesn’t bring home poison ivy. And always do a tick and flea check, even when using flea medication. Even with frequent brushings, hair and dander still circulate so be sure to clean or change your heating and cooling system air filters frequently, especially in the spring, which is prime shedding season. Taking a few extra steps to deal with our pets can ensure a clean, sparking, fresh-smelling home for everyone. Sponge and Sparkle was recommended to me by my Sister in law. She loves them and I see why! I have a home that I am trying to sell. I needed above and beyond the average type of cleaning. Sponge and Sparkle came through beautifully. They cleaned everything everywhere! I have 3 kids, 2 large dogs, and a long haired cat. It was not an easy job! 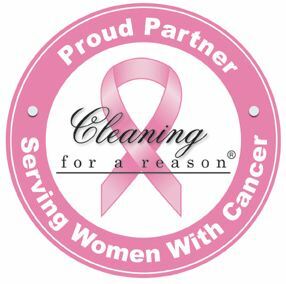 For me it was the best cleaning job I have ever had and I have used housekeepers for 15 years! I am going to continue to use them as my house remains on the market. They’re an asset now…I would never let them go! I would recommend them to anyone! They have done a great job every time. We have had multiple different people clean our house and they all are so friendly to us and our cats! I would highly recommend them.